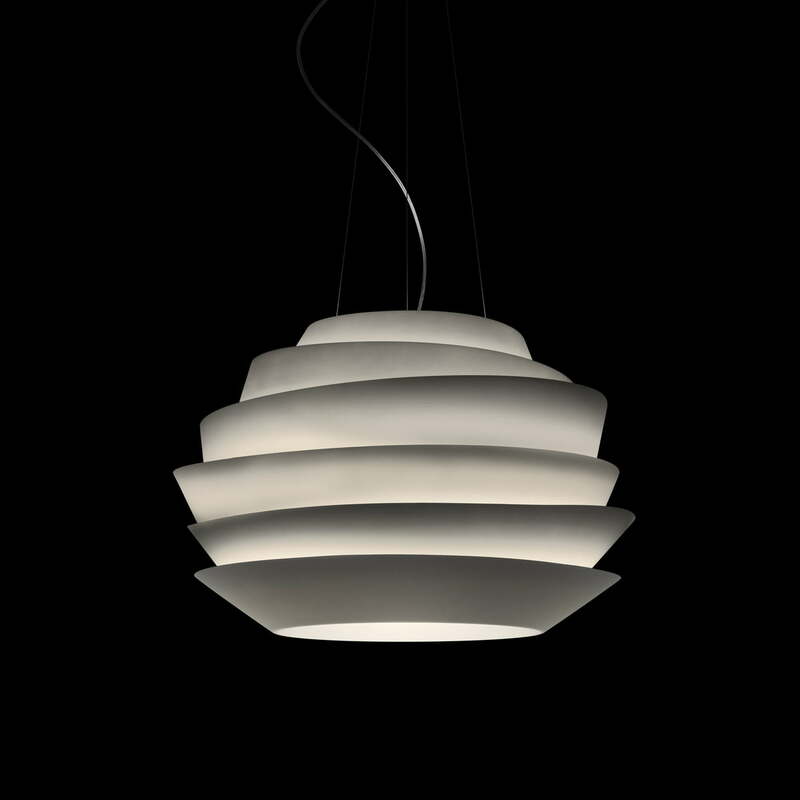 The suspension lamp Le Soleil by Foscarini is a glowing bowl that consists of irregular ribbons, which was designed by Vicente Garcia Jimenez. Towards the inside, the light is reflected by the ribbons, which serve as a diffuser to the outside. This way, a pleasant and magical shimmer is created, which appears to be floating in the room. Several bundles of light escape upwards, while direct light is projected downwards. Le Soleil is a star among lamps and can be used in private or public areas. It is an irresistible eye-catcher, individually or in combination with several units. The irregular edges of the ribbons add movement to the form of Le Soleil and by thus create an architectural effect that always creates a different effect depending on the viewer's perspective. The use of different colours underlines the lamp’s warm, comfortable and playful panache. 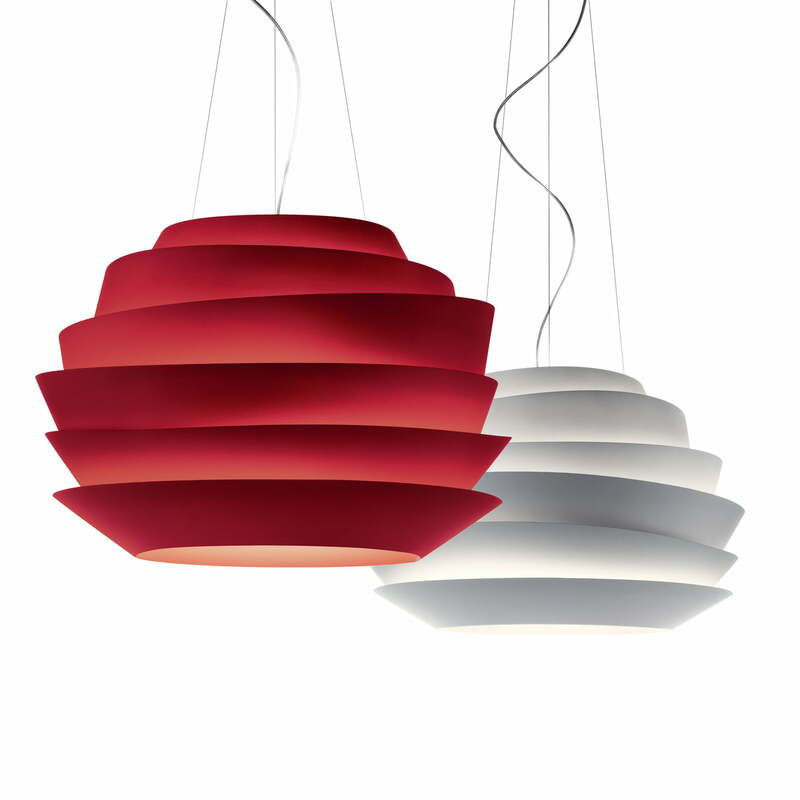 The Le Soleil suspension lamp is available in white, red and acquamarine.